I have long been a fan of the 1967-1970 animated Spider-man series. Its uncomplicated simplicity is refreshing – and it allows for endless meme opportunities. 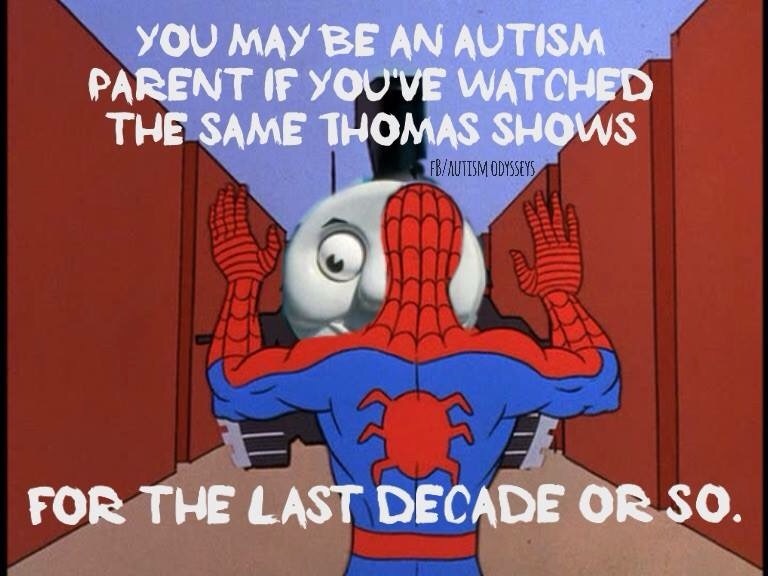 Autism isn’t caused by bad parenting – any suggestions that it does will cause a visit from your friendly neighborhood Spider-Man. Unexpected schedule changes can be a very big deal for people who like to follow schedules. It can be amazing what someone can do when left alone for a few minutes. Fortunately these days are mostly in the past for me, but helicopter parenting is real! You wake up in the middle of the night in a panic because you forgot to charge the iPad. 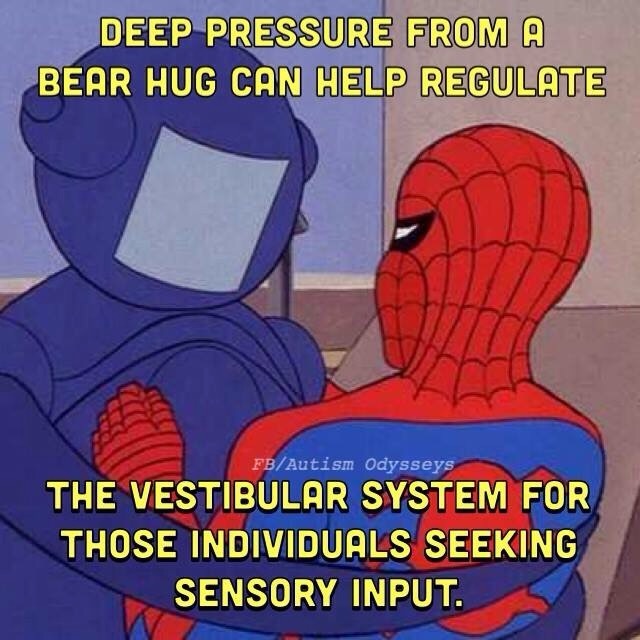 Deep pressure is good for providing sensory input. 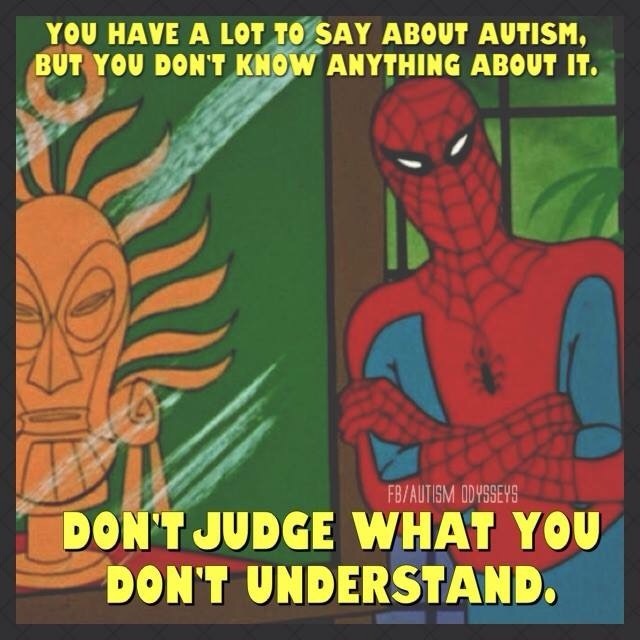 There may be people you encounter who have read all the latest headlines about Autism, but lack actual interaction with individuals. They may not hesitate to let you know everything you are doing wrong. Age appropriate doesn’t mean anything – they like what they like!